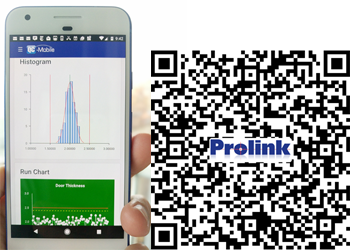 QC-Mobile is Prolink’s first web-based application to deliver reports and statistics to the shop floor through a browser. It works as a companion application to ERS by helping you to distribute reports, dashboards, full views and drill down statistics via any web browser on your network. QC-Mobile is installed as a portable web server onto any PC on your network. Once installed and connected to your local ERS SQL Server database, it immediately allows you to see report history, dashboards and full views using the same user level functionality and ownership that exists in ERS. There is no install on the client other than the browser of his or her choice. ** The base price includes 5 named users. 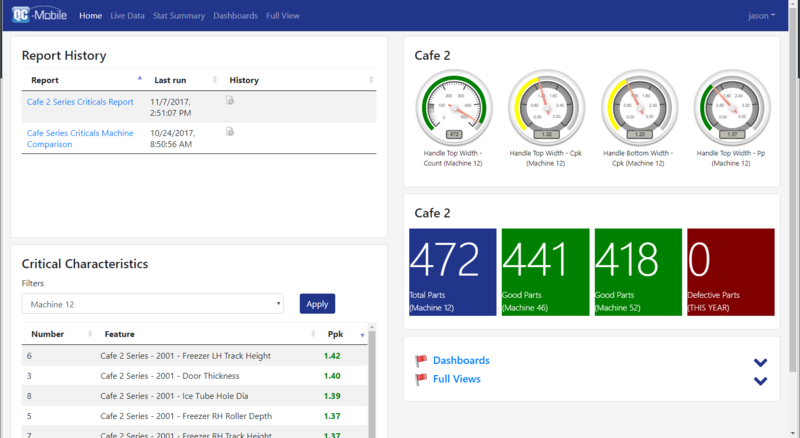 Dashboard Carousel With Drill Down!